At V.A. 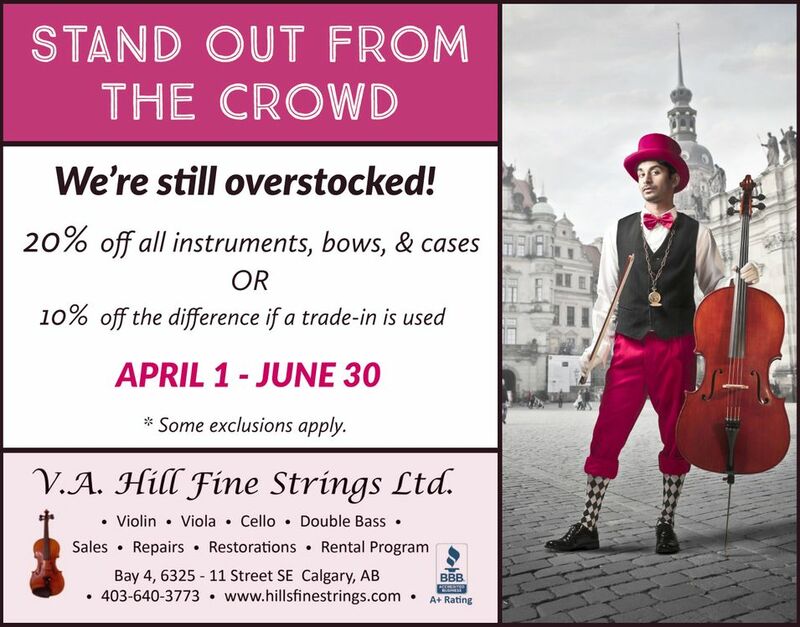 Hill Fine Strings Ltd., we offer regular specials and deals in our commitment to be the best full-service string instrument shop in Calgary. Check back often to see what’s on sale and contact us or visit our shop today to see what we have in store.